New pattern matching tech takes aim at predicting how long new hires will stay, potentially saving employers billions per year. But has AI really cracked the code on employee retention? What if you knew when a job candidate would quit before you offered them the job? While the tech’s yet to predict the time new hires will spend at a job down to the minute, two startups are selling pattern matching that helps employers predict whether prospective employees will make it longer than a year. If the tech works, it could save employers billions. But is the payoff worth it? Once the tests have gauged how a candidate’s mind works, Pymetrics’ predictive modeling goes to work. “For every client we work with, we have their top performing individuals go through the games and that's how we establish the traits that are important for good performance in that role at that company,” Polli explains. Data science pattern-matches candidates’ results against the data set from successful employees, and bam: Pymetrics provides a percentage-based match based on how likely the test-taker is to remain in that job for more than a year. What’s successful, Polli says, is determined by each client, but the company encourages employers to use quantifiable metrics, like the number of quarters where goal was met for a sales job. Ranging from one to 100 percent, matches are categorized as strong, medium, or low. A medium or low match indicates an applicant won’t mesh well and will quit. But looking for key traits is exactly what her company does. When this reporter took Pymetrics’ tests, I scored high in “risk preference for high risks,” “risk preference for low risks,” and “planning speed.” My results listed these as negative traits for an entrepreneur, predicting I only had a 6 percent chance of making it as one for more than a year: I’m a two-time tech founder who sold her first company for a multiple of revenue after running it nine years. And speaking as a tech founder, these so-called negative traits helped me do my job. Questions of accuracy aside, the use case for AI retention predictions remains compelling. 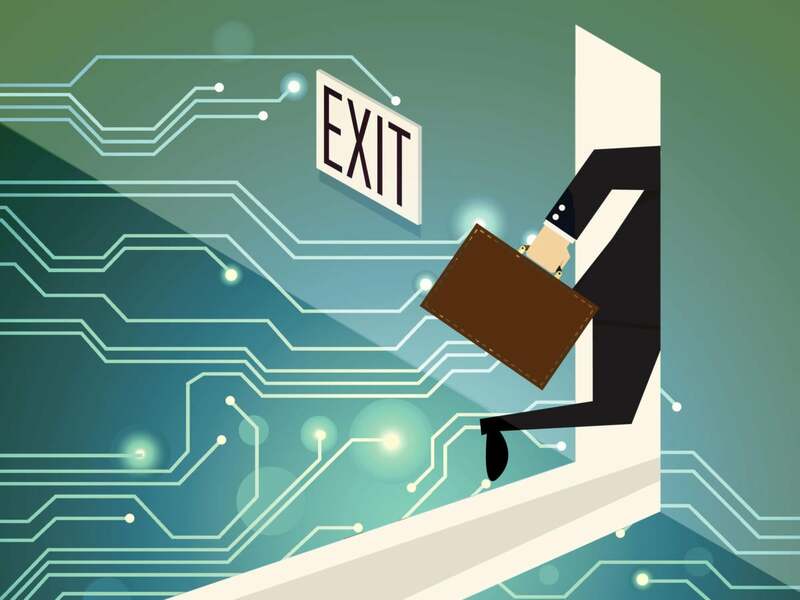 Work Institute reports that turnover costs American companies $536 billion a year with 34 percent of employees leaving during their first year. It costs “about 33 percent of base pay to lose an employee,” Nelms says, explaining there are recruitment costs and training costs, plus the productivity hit from not having someone in the job. Of the 12 cognitive tests Pymetrics runs applicants through, none measure actual job talents. For pattern matching that is performance-related, there’s SkillSurvey, a Philadelphia-based company that analyzes feedback from provided references. This feedback, according to President and CEO Ray Bixler, comes in two forms. First, references rate 30 workplace behaviors on a scale of one to seven. The company also collects verbatims, which he describes as “a free field area that allows the reference to further explain ... three areas of strength and three areas of development.” SkillSurvey combines verbatims with ratings to better understand them, then pattern-matches ratings against others who applied for similar work. “The No. 1 most important data set to look at that predicts turnover more than any other time and again is reference response rate,” Bixler says. “The data conclusively continues to come back in that how the references rate the applicant will in fact help reduce turnover and predict performance one year later.” The average SkillSurvey client sees a 35 percent reduction in turnover. For pattern matching to predict this, though, you have to use good patterns. At DocuSign, Senior Director of Recruiting Susan Ross says references must respond to SkillSurvey within two days or an applicant won’t get the job. Later than that, and internal matching shows they’re not the best hire. Never mind that there are lots of reasons references might not respond that quickly that have nothing to do with the candidate. This timeline is DocuSign specific, though, and Ross says it and other matching works: After deploying SkillSurvey internationally, DocuSign opted not to hire 11 individuals whose reference results were poor, saving more than $1 million in possible turnover costs. Back at Pymetrics, Polli says one-year attrition improves by 14 to 60 percent after deployment. “We've also seen a correlation with or an association with increased job performance metrics like increased sales,” she shares.